Midori Takada and Lafawndah blur the lines between live music performance and devotional ritualistic theatre. The two experimental artists from Japan and London have come together to showcase Ceremonial Blue, a stage production which is built around their 2018 EP Le Renard Bleu. As Takada plays out with handbells, antique cymbals, windchimes and drums, Lafawndah adds evocative vocals into the mix. They will also be joined by Indonesian dancer Dian Bokir, and SAMGHA, a group of Japanese Buddhist monks. Classically trained, Takada is a minimalist composer and percussionist from Japan with a love for African percussion. She is best known for her cult ambient work ‘Through The Looking Glass’, a four-song dreamy soundscape. After the recording became both fiercely popular and yet hard to find throughout Japan, the 1983 record was re-released in 2017. Collaborator Lafawndah brings a different sound and is a London based singer-producer with an offering of fierce gutsy cryptic pop. 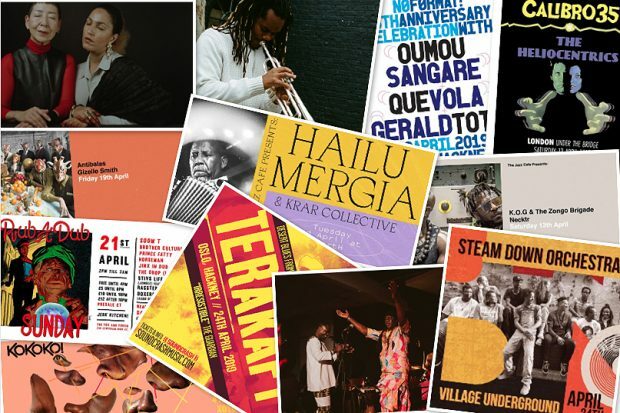 This partnership is likely to draw you in for a creative night of mysterious storytelling and depth, as the musicians experiment with rhythms and sounds from all across the globe and tell tales of other cultures.